JERUSALEM, October 14, 2013 – Women For the Wall welcomed statements by Anat Hoffman, Chair Of Women of the Wall, abandoning their previous agenda of fomenting “change” among women who disagree with their feminist agenda. 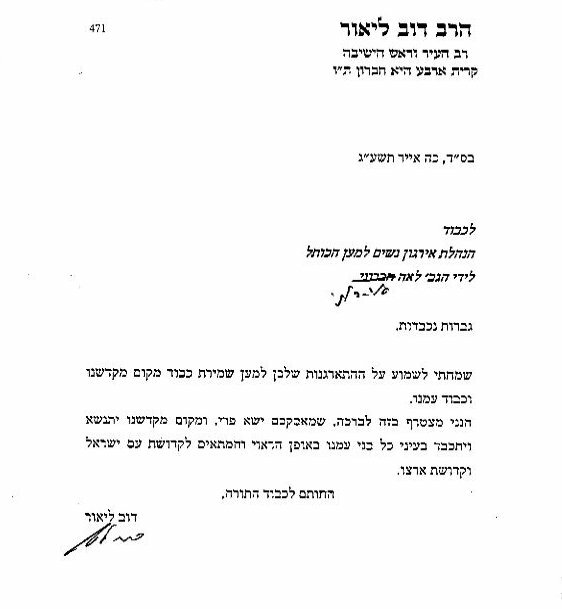 In response, Women For the Wall again called upon WOW to immediately move their services to the new platform constructed at the Kotel, the Western Wall, by Interior Minister Naftali Bennet, instead of planning yet another monthly disturbance of thousands of other women and men at the plaza constructed and intended for traditional prayer. In remarks during a conference call with WOW supporters, Hoffman contradicted long-standing public positions of WOW, conceding that the group has never desired simply “to wear prayer shawls, pray and read from the Torah collectively and out loud at the Western Wall,” as proclaimed in its mission statement. She further agreed that the reason the rejectionist faction within WOW insists upon staying at the traditional women’s section has little to do with an objection “to praying in the same space with men,” as the group previously stated. 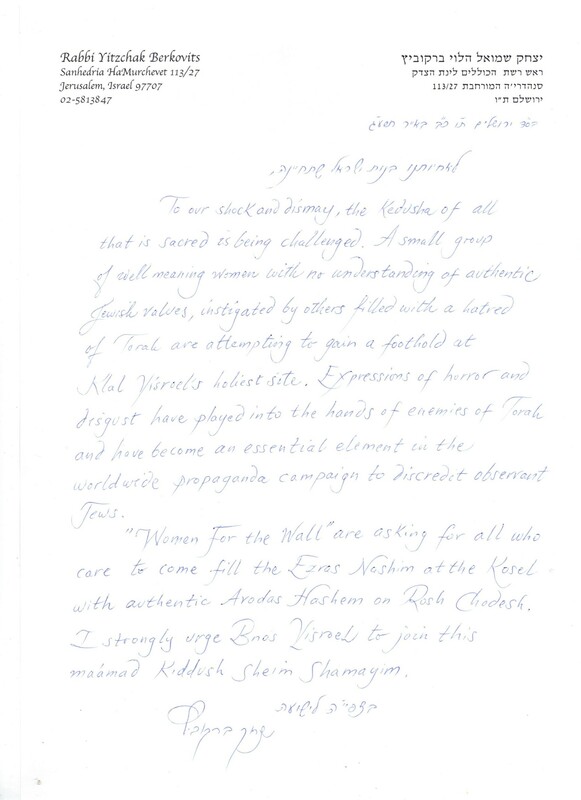 Rather, Hoffman confirmed Women For the Wall’s position that WOW is an activist organization, agitating for “change in the Orthodox world,” and, in Hoffman’s words, the reason to move is because WOW might not be “the right [group] for doing something like this.” She also made the unprecedented admission that “our Haredi sisters also have rights,” namely, the right to pray undisturbed, in the traditional fashion, as observed by our ancestors for over 2000 years. Women for the Wall, a grassroots organization committed to preserving the consensus around the Kotel and maintaining the sanctity of the place, is dedicated to ensuring that the Western Wall can be a place for all Jews to come and pray with respect and dignity. It believes that only by preserving classical Jewish practice at the Wall can it be a place where all Jews can be welcome.